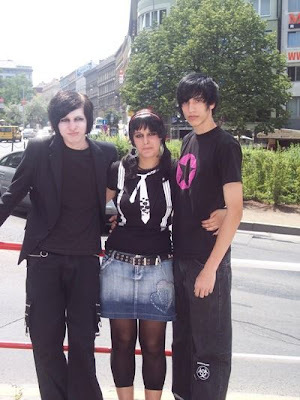 As the emo culture becomes increasingly popular, it seems more and more people are developing stereotypes and misconceptions regarding emo style. 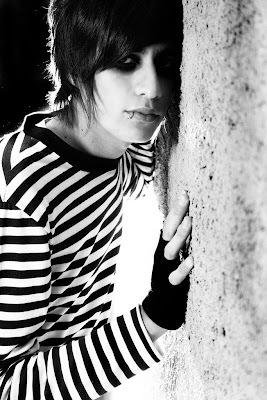 Perhaps the most common mistake is that people associate anyone who chooses an emo look with a depressed state of mind. Emo is a means of personal expression, which involves getting in touch with one’s emotions. Some of these emotions may be negative, but that surely does not mean that choosing an emo style makes you depressed, self-destructive, or suicidal. Additionally, some people mistakenly identify emo style as “punk.” Although they share some common roots, punk style is somewhat different from emo. Punk seeks to defy societal norms in bold ways. In contrast, emo style seeks to show a person’s inner feelings through their outward appearance. As such, it is frequently less drastic in terms of its non-conformity. Finally, many people seem to believe that adhering to one element of the emo style makes you entirely emo. Dying your hair black, for instance, is a personal choice and not always related to being emo. The same is true for wearing skinny jeans or canvas sneakers.